Tickets are now LIVE for Friday's event with Jurjen Söhne, a catalyst for innovation active on the cutting-edge of digital, social, science and technology. Self-described as a "social entrepreneur at heart and an environmentalist by education", Jurjen is "driven by innovation that betters the planet". On Friday, he'll share his thoughts on the global theme ROBOT, chosen by the Praguechapter, presented by Mailchimp and illustrated by Ella Cohen. Get your ticket now for Friday's event at Vlaams Cultuurhuis de Brakke Grond. Doors open at8.30am for breakfast, the talk starts at 9 and we're all off to work at 10. A special thank you to our partner, Aquent, for helping make these events possible, and to our videographer Luke Daviesand our photographer Aline Bouma for documenting the event. See you on Friday! Once again our partner Aquent has picked their ‘Talent Pick of the Month’ from theCreativeMornings Amsterdam community. This month it's Jorge Delgado! Bio: Jorge is aCreative Art Director and Multidisciplinary Designer at Skinny George. Best advice he has received: "Never give up"
Check out Jorge’s full profile here and be sure to create your own for a chance to be featured. Last month we invited designer, curator and art agent Jeroen Smeets to reflect on the global theme "Humility". Jeroen shared his story about taking a step back and providing platforms for others to shine, through agency YOUR:OWN​, Eight Magazine​ and art project The Jaunt​. Watch the video of the talk on our website. 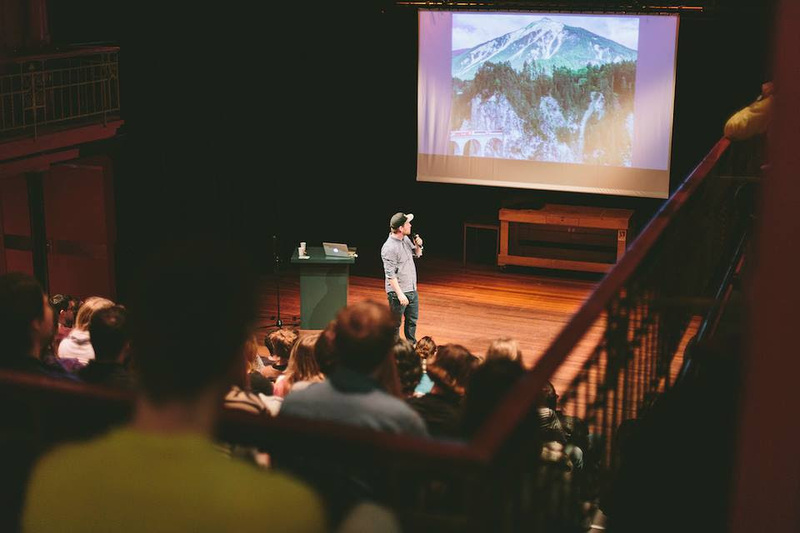 There are many different ways to get involved with CreativeMornings Amsterdam. Check out photos from previous events on Facebook, share your own photos on Instagram, or add to the conversation on Twitter. Create and personalize your profile (like Jorge, above), read interviews on our city blog, or watch videos of talks from around the world on the CreativeMornings website. Or do you want to volunteer at an event? Get in touch via amsterdam@creativemornings.com. Graduates: You want to be a Digital Creative? How to keep a recruiter engaged!